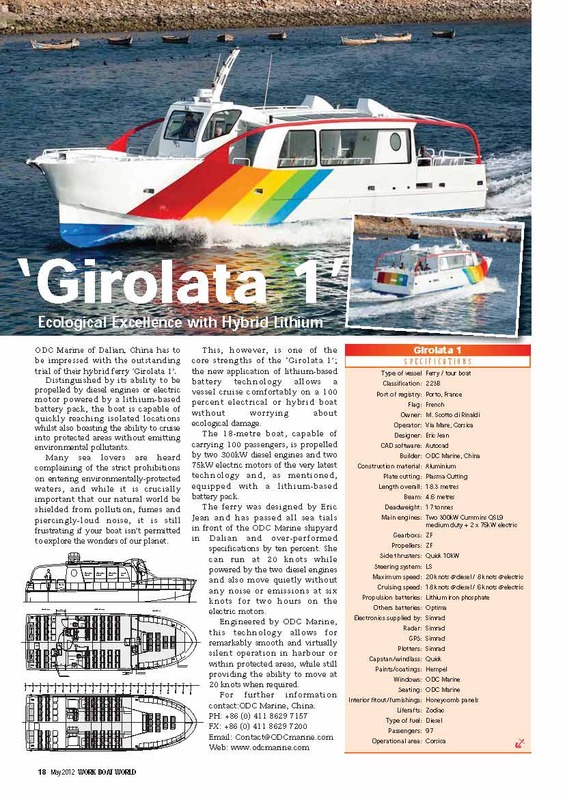 Distinguished by its ability to be propelled by diesel engines or electric motor powered by a lithium-based battery pack, the boat is capable of quickly reaching isolated locations whilst also boasting the ability to cruise into protected areas without emitting environmental pollutants. Many sea lovers are heard complaining of the strict prohibitions on entering environmentally-protected waters, and while it is crucially important that our natural world be shielded from pollution, fumes and piercingly-loud noise, it is still frustrating if your boat isn’t permitted to explore the wonders of our planet. This, however, is one of the core strengths of the ’Girolata. 1’, the new application of lithium-based battery technology allows a vessel cruise comfortably on a 100 percent electrical or hybrid boat without worrying about ecological damage. The 18-metre boat, capable of carrying 100 passengers, is propelled by two 300kW diesel engines and two 75kW electric motors of the very latest technology and, as mentioned, equipped with a lithium-based battery pack. The ferry was designed by Eric Jean and has passed all sea tials in front of the ODC Marine shipyard in Dalian and over-performed specifications by ten percent. She can run at 20 knots while powered by the two diesel engines and also move quietly without any noise or emissions at six knots for two hours on the electric motors. Engineered by ODC Marine, this technology allows for remarkably smooth and virtually silent operation in harbour or ‘within protected areas, while still providing the ability to move at 20 knots when required.